Few car systems are as pleasant and comfortable as a massage system. Normally, one can only find massage chairs in very expensive luxury cars. But thanks to our “Be Pushed” pneumatic massage system, you can experience this luxury in your own car. Our massage system consists of four sets of pillows that massage your back in a firm but relaxing manner at the most important points. We guarantee you the highest quality. 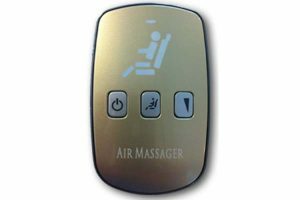 The materials for our massage system come from the aerospace industry, which makes then particularly durable and resistant to the high temperatures of the heated seats. You might consider a massage system in your car to be a luxury, but massage chairs do have a practical function. The massage system keeps you fit and concentrated, hence making a valuable contribution to your safety. You remain relaxed but alert behind the wheel and keep yourself from becoming sleepy. In addition, our massage chairs are the ideal solution for drivers who are battling a painful or tired back during (long) drives. Thanks to the massage chairs you feel more fit, relaxed and pain-free when you arrive at your final destination. 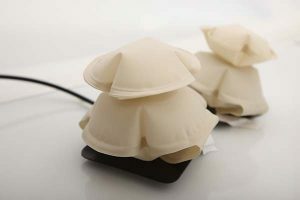 Of course, we can supply our pneumatic massage system in combination with a leather car interior and/or seat heating. 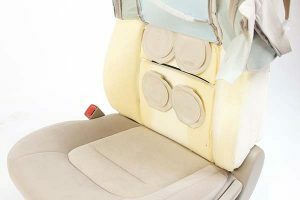 We can also install the massage system in your current seats underneath the factory upholstery. This way you can turn your regular seats into comfortable massage seats. The system can be installed in any seat at any location. This means that you can also equip the passenger seat and back seats with a massage system. Are you interested or do you want more information or to schedule an appointment with us? Then please contact us and we will be glad to assist you.